MODEL HOME AT THIS LOCATION: 8170 Eagle Dr. Greeley, CO 80634 Discover Greeley, Colorado's newest low-maintenance community, River Run at Poudre River Ranch. 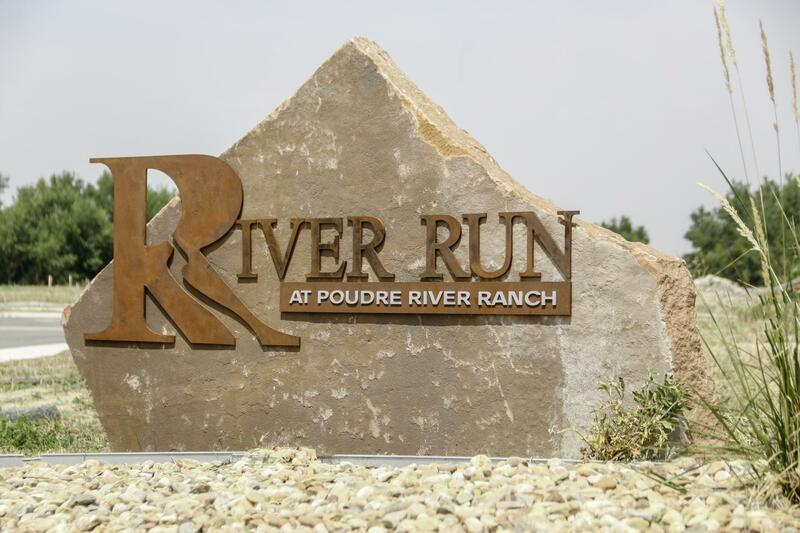 Nestled along the Cache la Poudre River, with spacious home designs, convenient outdoor amenities, and magnificent views, River Run is an ideal place to call home. Nature is out your back door with the Poudre River trail running through the neighborhood, offering you miles of biking and walking trails. The River Run community has convenient access to Greeley, Loveland, Windsor and Fort Collins. Community features include front and rear yard landscaping. The HOA also covers watering & landscape maintenance, snow removal, and trash. Fencing is allowed as well! Call 970-573-7033 today or stop by our model home and see for yourself what this community has to offer.